The old maxim "change or die" would seem to apply to apps and services left in the wake of Google Reader's upcoming shutdown. 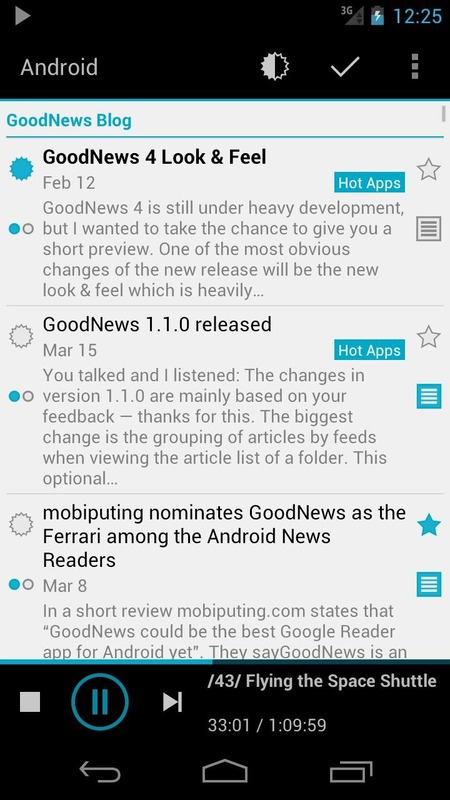 Popular RSS client GoodNews is exiting the Play Store, stage right, once Google Reader shuffles off the mortal coil on July 1st. 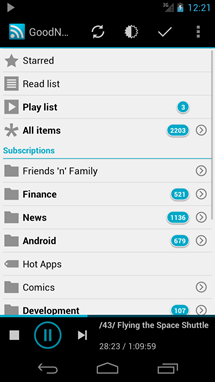 The developer updated the Play Store description and the app's website with the news. 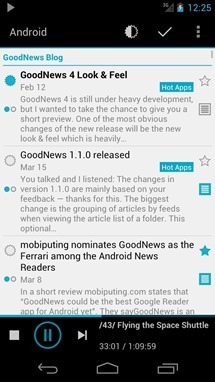 Since Google Reader will not be functioning at all, this isn't your normal end-of-life app situation - development will cease, the GoodNews listing will disappear, the fat lady will sing. But if you'll pardon the pun, there's good news coming out of the popular reader's demise. 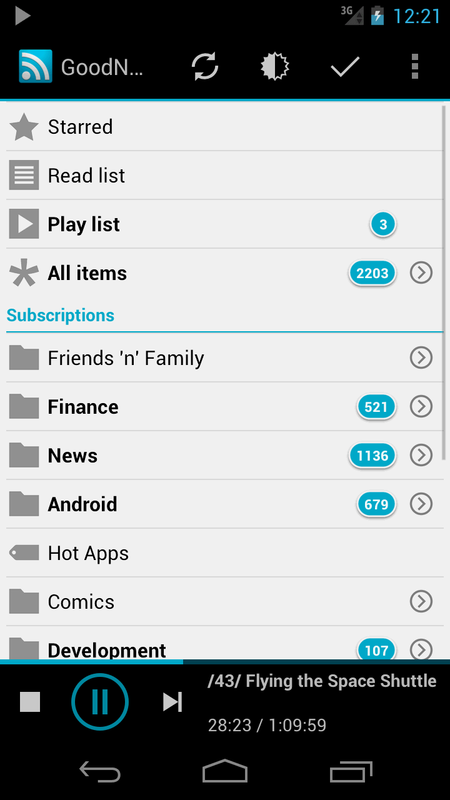 One of GoodNews' most unique features was a Google Reader-based podcast client, something that Feedly, gReader, and the rest of the surviving apps seem to lack. 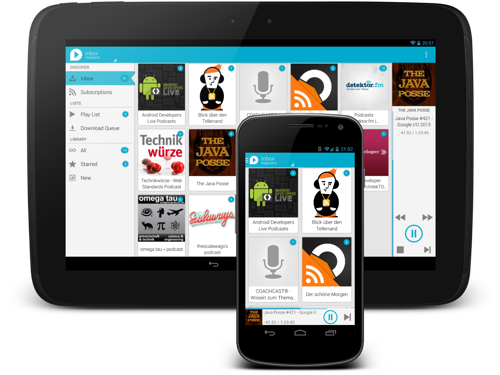 Developer Sven Wiegand is working on a new podcast client based on his work on GoodNews. It's called uPod, and not only will it have more typical RSS-based syncing and downloading sans the Reader backend, it looks pretty spiffy to boot. 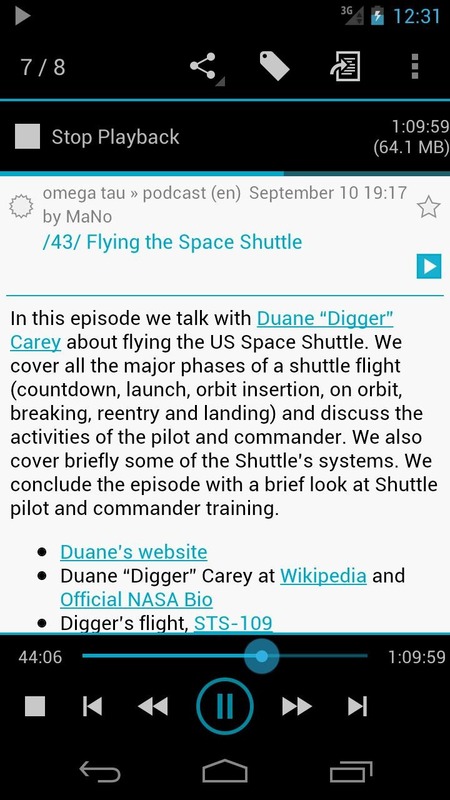 uPod isn't available for download just yet, but Wiegand has already put up a website for the upcoming app. It's looking pretty sweet - all the standard bells and whistles are there, including a Holo design, OPML import, automatic downloads, and a UI that's equally at home on both phones and tablets. 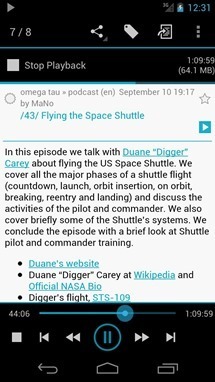 Support for video podcasts is planned, but not for the initial version. So if you used GoodNews mainly for catching up on Tech News Today, there's reason to celebrate.